Jacques Brel – Belgian singer, songwriter, poet, actor, and director. A Belgian singer and songwriter whose literate, passionate songs made him one of the most popular French-language musicians in Europe and gained him a worldwide following, Jacques Brel was born on 8 April 1929 in Schaerbeek, Brussels, to Élisabeth “Lisette” (née Lambertine) and Romain Brel. He created and performed a catalog of literate, thoughtful, and theatrical songs that brought him a large, devoted following in France. His audience eventually extended internationally, making him a major influence on English-speaking writers and performers including Leonard Cohen and David Bowie, while translations of his songs were recorded by a wide range of performers from the Kingston Trio to Frank Sinatra. Brel is considered a master of the modern chanson. Although he recorded most of his songs in French and occasionally in Dutch, he became an influence on English-speaking songwriters and performers, such as Scott Walker, David Bowie, Alex Harvey, Marc Almond, and Rod McKuen. English translations of his songs were recorded by many performers, including Bowie; Walker, Ray Charles; Judy Collins; John Denver; The Kingston Trio; Nina Simone; Frank Sinatra and Andy Williams. Highly popular in Belgium and France during his early career, Brel soon achieved international fame and came to be regarded as a major influence on English-speaking songwriters. Born into a well-to-do bourgeois family in Brussels, he received a typical upbringing for boys of his stature. Even though he was intelligent and creative, he was never inclined towards academics and performed poorly in school. He began playing the guitar as a teenager and formed his own theatre group with friends and began writing plays. After serving in the military for a short while, he started giving public performances. A radio performance followed and soon he moved to France in search of better career prospects. In France, he became a singing sensation and earned himself a devoted following of fans. It did not take long for him to attain international stardom and soon he was performing in countries like Canada, the U.S., Djibouti, Finland, and the USSR as well. With time he also ventured into acting and became a well-known actor in French-speaking countries. 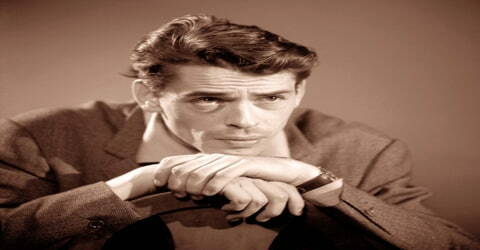 Brel was a successful actor, appearing in ten films. He directed two films, one of which, Le Far West, was nominated for the Palme d’Or at the Cannes Film Festival in 1973. 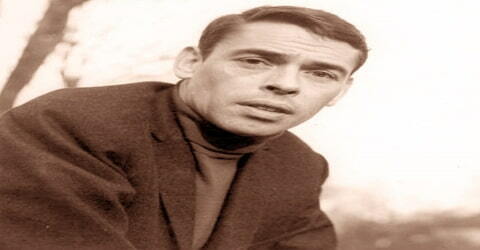 Having sold over 25 million records worldwide, Brel is the third best-selling Belgian recording artist of all time. Jacques Brel, in full Jacques Romain Georges Brel, was born on 8 April 1929 in Schaerbeek, Brussels, into a well-to-do bourgeois family. His parents were Élisabeth and Romain Brel. His father worked for an import-export firm, and later became co-director of a company that manufactured cardboard. Jacques Brel and his older brother Pierre grew up in an austere household and attended a Catholic primary school, École Saint-Viateur, run by the order of Saint Viator. Remembered as a courteous and manageable pupil, Brel did well in reading and writing but struggled through arithmetic and Dutch. The boys were also members of the local Boy Scouts troop, enjoyed their time at summer camp and on family outings to the North Sea coast. In Brussels, the family lived at 138 Avenue du Diamant-Diamantlaan in Schaerbeek, then moved to 26 Boulevard Belgica-Belgicalaan in Sint-Jans-Molenbeek, and finally settled at 7 Rue Jacques-Manne-Jacques Mannestraat in Anderlecht. Brel was close to his mother, fascinated by her generosity and sense of humor, which he inherited. Brel started attending the Institut Saint-Louis at rue du Marais in 1941. He displayed a talent for writing and did well in history and French though he performed poorly in other subjects. As a teenager, he wrote short stories, poems, and essays, and also developed an interest in music. He began playing the guitar in 1944 and soon formed his own theatre group with friends and began writing plays. He fared badly in his studies and failed in many exams. On 1 June 1950, Jacques Brel and Thérèse Michielsen were married at Laeken, a suburb of the City of Brussels. The couple was blessed with three daughters. He developed a romantic relationship with actress and dancer Maddly Bamy in 1972 which lasted till his death in 1978. By 1973, Brel became aware that he was ill. Soon he was diagnosed with an advanced stage of lung cancer. Hoping to make the best of his remaining life, he began spending more time sailing and traveling. He also took advanced flying lessons. 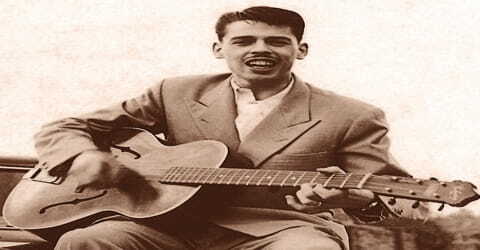 The 18-year-old Jacques Brel went to work at his father’s cardboard factory in August 1947. His job at Vanneste and Brel was predictable and uninspiring a routine that involved fixing prices and meeting customers. Apart from joining the company football team, he showed little interest in the company’s social activities and events. Perhaps to offset the boredom of his daily office routine, he joined a local Catholic youth organization La Franche Cordée (FC), which had as its motto, “More is within you.” Dedicated to philanthropic work, the group organized religious retreats, fundraising events, and food and clothing deliveries to orphanages and old people’s homes. Brel supported these activities with great enthusiasm and believed strongly in FC’s mission. His parents were pleased with their son’s dedication and provided him with the company van and family car to support his FC activities. Following a short military stint, Brel began writing songs and performing them at family gatherings and in Brussels’ cabaret circuit. His family thought his lyrics were too controversial but Jacques persevered and soon began to gain some popularity. He moved to Paris in search of better career prospects. During his initial months in France, he found work on the cabaret circuit at venues such as L’Écluse, L’Échelle de Jacob, and in Jacques Canetti’s cabaret Les Trois Baudets. Brel began writing stories and poems as a teen, but he was an indifferent student, and after his final year of secondary school he took a job with his father’s packaging company. While there he became involved with a philanthropic youth organization, and he started performing and writing songs as a member of that group. Brel began singing his compositions in Brussels cabarets in 1952, and the following year he released his first recording, a single that featured the songs “Il y a” (“There Is” or “There Are”) and “La Foire” (“The Fair”) on its two sides. Although the single was only modestly successful, it caught the attention of a French recording executive, who invited Brel to move to Paris. By the mid-1950s, Brel was a minor celebrity in France. He also began recording albums and his second album, ‘Quand on n’a que l’amour’, released in 1957 won him a prestigious award which added to his popularity. He toured extensively all over the world during the 1950s. Considered an international singing sensation by now, he was invited to the end-of-year concert at the renowned Bobino in Paris in 1959. The concert was an enormous success. In 1954 Brel competed in the music contest Grand Prix de la Chanson in Knokke-le-Zoute, finishing a disappointing 27th out of 28 participants. One positive result of the experience was that the French star Juliette Gréco requested to sing one of Brel’s songs, “Le diable (Ça Va)” (The devil (It’s OK)), at her up-and-coming concert at the prestigious Olympia music-hall. She went on to record the song that spring. In July 1954, Brel made his first appearance at the prestigious Olympia Theatre in Paris. Later that summer, he embarked on his first French tour, appearing on the bill with French singers Dario Moreno, Philippe Clay, and Catherine Sauvage. By the end of the year, Philips released his debut album, a nine-song, 10-inch LP called Jacques Brel et ses Chansons (“Jacques Brel and His Songs”). More touring followed, and Brel achieved a commercial breakthrough in 1956 when his song “Quand On N’A Pas Que l’Amour” (later adapted into English as “If We Only Have Love”), released on an EP, became a hit, reaching number three in the French charts. 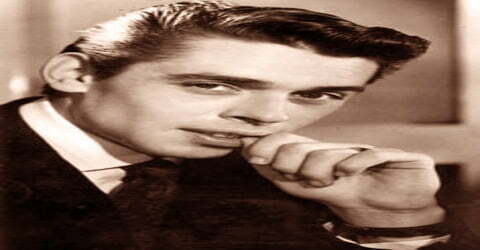 His subsequent LP releases were Jacques Brel 2 (1957), Jacques Brel 3 (1958), and Jacques Brel 4 (1959). 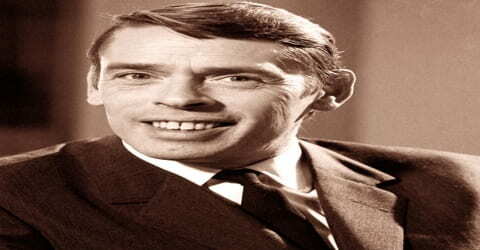 Brel began the 1960s with a series of international concert tours over which he traveled to and performed at the then Soviet Union, the Middle East, Canada, and the United States. He also performed at Shepheard’s Hotel in Cairo. His songs, frequently sharply satirical and often implicitly religious, also became hugely popular in much of Europe. His best-known songs, including “Ne me quitte pas” (“Do Not Leave Me”), “Amsterdam,” “Madeleine,” “Les Vieux” (“The Old Ones”), and “La Chanson des vieux amants” (“Song of Old Lovers”), were translated and recorded by numerous singers in other languages. Notable American recordings of Brel’s songs included Damita Jo’s “If You Go Away” (1966), a translation by Rod McKuen of “Ne me quitte pas”; Judy Collins’s “The Dove” (1963), an English-language version of “La Colombe”; David Bowie’s “Amsterdam” (1973) and “My Death” (1983), the latter a translation of Brel’s “La Mort” (1959); and Terry Jacks’s “Seasons in the Sun” (1974), McKuen’s rather cloying translation of Brel’s 1961 song “Le Moribond” (“The Dying Man”). Brel became best known in the United States, however, through the 1968 Off-Broadway revue, Jacques Brel Is Alive and Well and Living in Paris, which was revived on Broadway in 1972 and filmed in 1975, featuring translations by Eric Blau and Mort Shuman. In October 1962, Brel set up his own music publishing company, Arlequin, which was soon renamed Éditions Musicales Pouchenel. Soon he recorded the singles ‘Les Bigotes’, ‘Quand Maman reviendra’, ‘Les Filles et les chiens’, and ‘La Parlote’. By the mid-1960s, he grew physically and mentally weary of his grueling travel schedule. The years of constant touring and performing was taking a toll on him. After touring Djibouti, Madagascar, Reunion Island, and Mauritius in 1966, he decided to retire from the concert stage. Also in 1966, Judy Collins put an English-language version of Brel’s “La Colombe” (“The Dove”) on her In My Life album (Joan Baez covered the same song the following year on her album Joan), and Glenn Yarbrough sang “The Women” (“Les Biches”) on his LP The Lonely Things. Philips Records, meanwhile, weighed in with an American Brel compilation, The Poetic World of Jacques Brel. In January 1967, Brel finished recording songs for a new studio album, Jacques Brel 67, which was released later in the year. The album included “Mon Enfance” (My childhood), “Fils de…” (Sons of…), “Les bonbons 67” (The candies 67), and “La Chanson des vieux amants” (Song of the old lovers). In late January, he returned to Carnegie Hall and gave one final performance. While in New York, he went to see Man of La Mancha, a musical based on Cervantes’s novel Don Quixote, at the ANTA Washington Square Theatre in Greenwich Village. Moved by the experience, he began planning a French-language production of the musical for Europe. He returned to France in the spring and, on 16 May 1967, he gave his final concert performance in Roubaix in northern France. Toward the end of the year, with vague plans of sailing around the world, Brel purchased a yacht. In September 1968, Brel recorded the songs for the album, J’arrive (I’m coming), which was released later in the year. In addition to the title song, the album included “Vesoul”, “Je Suis un Soir d’été” (I am a summer’s evening), and “Un Enfant” (A child). In October 1968, his musical L’Homme de La Mancha (Man of La Mancha) premièred in Brussels, with Brel playing Don Quixote and Dario Moreno playing Sancho Panza. Moreno would die tragically only ten days before the musical’s Paris première. Brel began a new inning in his career and ventured into films in the late 1960s. He made his first film appearance in 1967 in André Cayatte’s ‘Les Risques du métier’ as a schoolteacher accused of immoral behavior. Brel also produced the soundtrack with François Rauber. He received praise for his acting skills and soon other film roles followed: ‘La Bande à Bonnot’ (1968), ‘Mon Oncle Benjamin’ (1969), and ‘Mont-Dragon’ (1970). He also began directing films, the first of which was ‘Franz’, a 1971 Belgian-French film. His final feature film was ‘L’emmerdeur’ which was released in 1973. In July 1974, having bought a yacht, Brel set off on what was intended to be a circumnavigation of the globe. But in October, while in the Canary Islands, he was diagnosed with lung cancer. He went to Brussels for an operation to remove part of his left lung. After recovering, he returned to his boat and continued on his journey. In November 1975, he reached the Marquesas Islands, where he decided to stay. He returned to France in July 1977 to record a new album, Brel, issued in November. The LP became a massive hit, reportedly selling 650,000 copies on its first day of release and eventually topping two million copies. Suffering a recurrence of cancer, Brel again returned to France in July 1978 for treatment, but he died three months later at the age of 49. 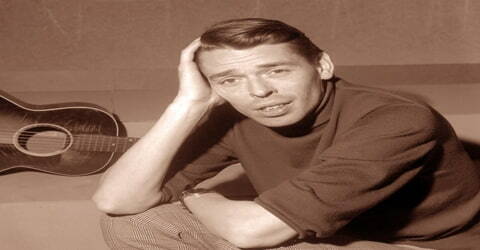 In 1957, Jacques Brel won the prestigious Grand Prix du Disque from the Académie Charles Cros. Brel was given the Gold Medal of Brussels from the Tourist Information Bureau in 1964. The same year he also won a prize from the Société d’Auteurs Belge / Belgische Auteurs Maatschappij (SABAM). 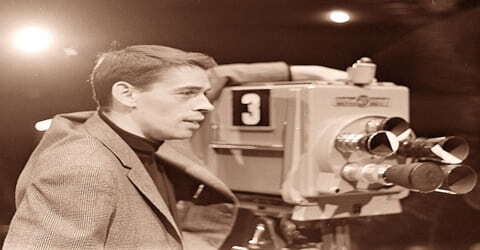 Brel was a recipient of the French Academy’s Grand Prix du Disque. From January to June 1978, Jacques Brel and Maddly Bamy lived quietly at their home on Atuona Bay on Hiva-Oa island. He died on 9 October 1978, at the age of 49. 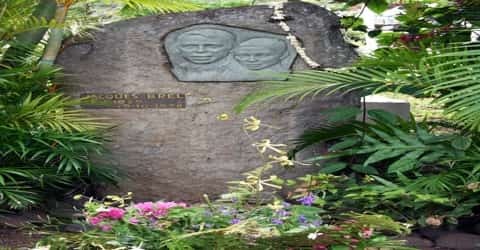 On 12 October, his body was flown back to the Marquesas Islands, where he was buried in Calvary Cemetery in Atuona on the southern side of Hiva Oa island in the Marquesas, French Polynesia a few yards away from the grave of artist Paul Gauguin. His song ‘Amsterdam’ is considered one of his most enduringly popular works. A melancholy song, it is about the lives of the sailors on shore leave in Amsterdam and about their day-to-day struggles. In France, Brel’s reputation as one of the major singers and songwriters of the 20th century is secure. In the English-speaking world, his influence is limited by the language barrier and by his musical taste in traditional pop and cabaret, rather than the predominant style of the second half of the century, rock. Nevertheless, his lyrics, delving into personal, dark, and adult subjects, are in keeping with the trend toward frankness and seriousness of popular songwriting from Bob Dylan on and even anticipate that trend. As such, Brel is something of a French older brother to the likes of Dylan, Leonard Cohen, and all the confessional singer/songwriters who followed them. At the same time, his work, as translated into often bowdlerized English (especially in the McKuen versions), has extended his influence as a songwriter across genres. Jacques Brel directed the 1973 Belgian-French comedy film ‘Far West’ which is about a 40 year old man who attains a superpower. The movie was nominated for the Palme d’Or at the Cannes Film Festival.